With more than twenty years of experience in the commercial real estate industry, Amy is primarily responsible for the execution of the investment strategy and business plan for assets valued in excess of $1.5 Billion. She is directly responsible for the management of the real estate, asset management, and property management companies, as well as driving Buzz Oates’ strategic vision and growth. Graduating from University of California, Los Angeles she earned a Bachelor of Arts degree in English, with an emphasis on American Studies. Amy is also a licensed California Real Estate Broker, a graduate of the Sacramento Metro Chamber’s Leadership Sacramento program, a 2010 recipient of the Sacramento Business Journal’s 40 Under 40 award, a 2011 winner of the Sacramento Business Journal’s Woman Who Mean Business award, a 2012 honoree of Real Estate Forum’s national 40 Under 40 award, and in 2014 was named by Real Estate Forum as a Woman of Influence. Amy is a member of the National Association of Industrial and Office Properties (“NAIOP”), the Association of Commercial Real Estate (“ACRE”), for which she serves on the Board of Directors as Treasurer/Secretary, the Urban Land Institute (“ULI”), NAIOP Investment Management II National Forum, and Sacramento Metro Chamber’s Economic Development Committee. She enjoys mentoring those interested in developing a career in the commercial real estate field both within the Buzz Oates organization and outside. 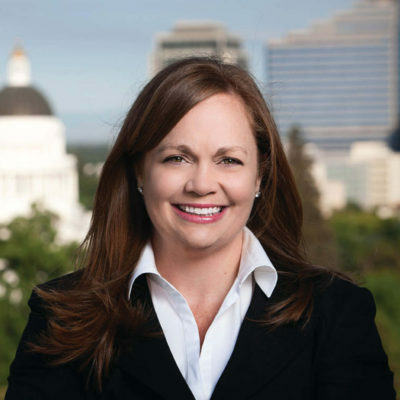 As a long-time Sacramento resident, she is an active member of the community. Amy served as the President of the Board of Directors for Stanford Youth Solutions, as a member of the American Heart Association’s Go Red Executive Leadership Team, and also supports causes such as the Susan G. Komen Breast Cancer Foundation, St. John’s Shelter for Woman and Children, River City Food Bank, and Woman’s Empowerment. Amy and her husband keep busy with their four young sons – volunteering in their classrooms, Boy Scouts dens, and on the sports fields. In her free time, she enjoys trail running, swimming on the Arden Hills Masters Swim Team, reading, and cooking for friends and family.